Toisessa blogissani, jota olen pitänyt jo vuosia kirjoitan aina lukemistani kirjoista. Tällä kertaa luin urheiluaiheisen kirjan ultrajuoksusta, Tamahura intiaaneista ja juoksemisen historiasta. Ajattelinkin, että voisinkin jakaa tämän kirjoituksen siksi myös täällä. Toinen blogini on englanniksi joten kirja-arvostelu on tällä kertaa englanniksi. Book Born to Run: A Hidden Tribe, Superathletes, and the Greatest Race the World Has Never Seen was one that I got recommended by my old boss, who got into barefoot running sometime ago. I bet this book had a big part on his turning to barefoot running. Still I didn't have much expectations towards the book at the first place, but it turned out to be one of the best books I've read for few years. 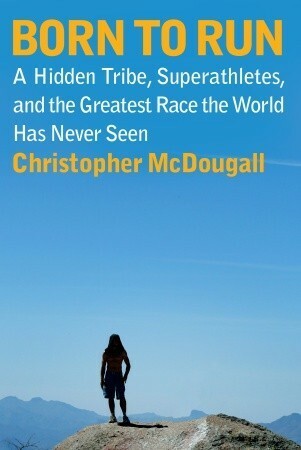 Author, Christopher McDougall starts the story from his problems with his feet. There the journey goes all the way to the one of greatest ultra-marathons ever arranged. During the journey there's so many colorful persons and stories, that book feels more like a fiction than true and teach-full story. Still it's a true story about running and who we are and what's our history. Almost hidden between the fun ride, there's lot of scientific studies and interviews from respected experts on running, physiology and training. McDougall writes so well, that these often so boring scientific sections are actually really interesting and complement the book to its full glory. At the same time, book is an interesting story about Tamahura indians, ultra-running and science behind running injuries. Reading this book will make you run and enjoy more out of it than before. Also you will most probably learn more about you as human more than you thought beforehand. It's a wonderful book, filled with great insights from very different perspectives. There's not a single group of persons I wouldn't recommend on reading this. It's just pure fun. Tämä postaus on siis uudelleen postaus toisesta blogistani. Alkuperäinen postaus löytyy täältä.